OKLAHOMA CITY – A public hearing into “actions and decisions” of the state Board of Medical Licensure and Supervision in regards to a Tulsa spinal surgeon has been rescheduled for Jan. 15, 2015. The hearing will be held at the State Capitol in Room 412-C, starting at 9 a.m. “Except for a break for lunch at noon, we’ll go all day, if we have to, until everybody has had an opportunity to testify,” state Rep. Morrissette said Wednesday. The hearing is expected to be broadcast live via the Internet. “We have evidence that the Board of Medical Licensure violated Dr. Steven Anagnost’s constitutional right to due process,” said Morrissette, an attorney. “Everybody has a constitutional right to due process and equal protection under the law.” In addition, he said, a medical license is a property right. “State and federal law both protect property rights,” Morrissette noted. 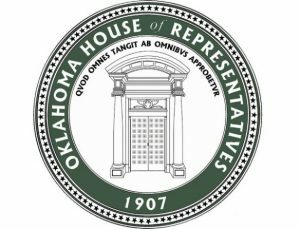 Representative Echols, R-Oklahoma City, has agreed to join Morrissette in delving into the board’s activities. Echols is the new vice chairman of the House Committee on Judiciary and Civil Procedure. Echols said his primary concern is “the board’s apparent bad faith in making a settlement agreement with Dr. Anagnost with the express intent that he would never be able to comply with it.” Morrissette said his chief concern is that the board began investigating Anagnost as far back as June 11. 2010, yet the case continued to drag on after four and a half years. “After receiving a pile of documents from the Board of Medical Licensure, I am more convinced than ever that we in the Legislature need to mount an in-depth investigatory hearing into this matter,” Morrissette said last month. Mike W. Ray is the media director for the Democratic Caucus for the Oklahoma House of Representatives.